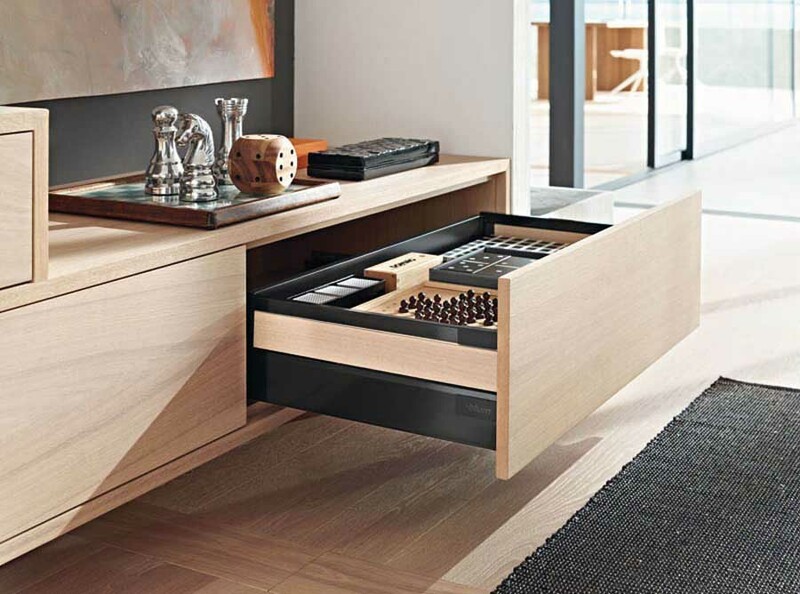 Designers and engineers will increasingly request greater freedom of design and the possibility of customizing to manufacturers of hardware and furniture components. 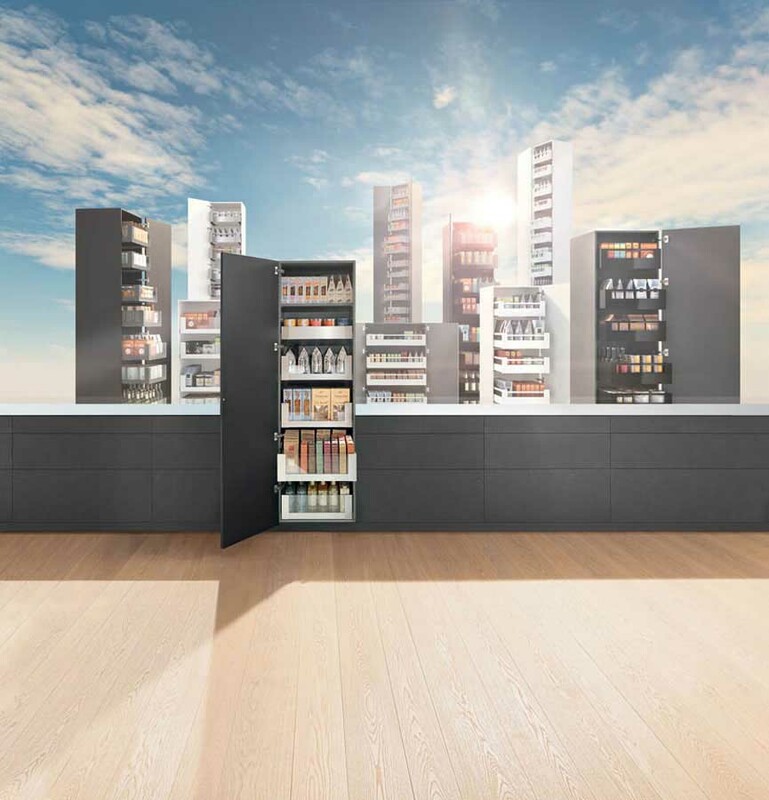 In response to these needs Blum offers the two box systems Tandembox and Legrabox, which have been revisited and optimized both from a technical and aesthetic point of view. 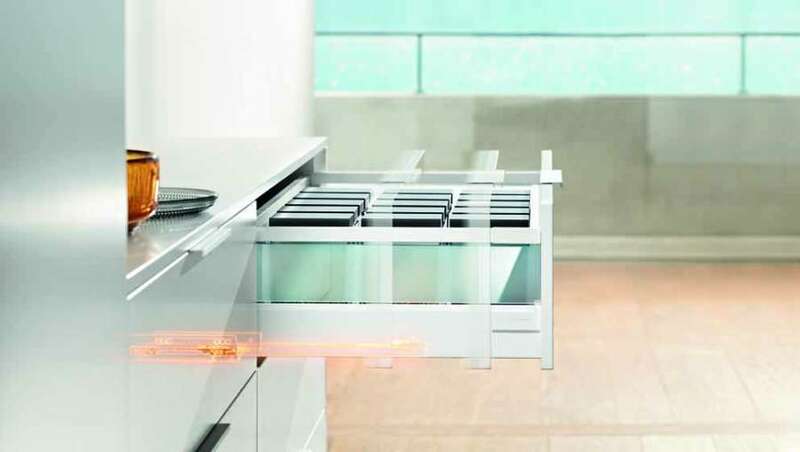 The Tandembox drawer system, in its three plus lines, antaro and intivo, has been modified on technical level: it now stands out for its optimized opening and improved racing properties. 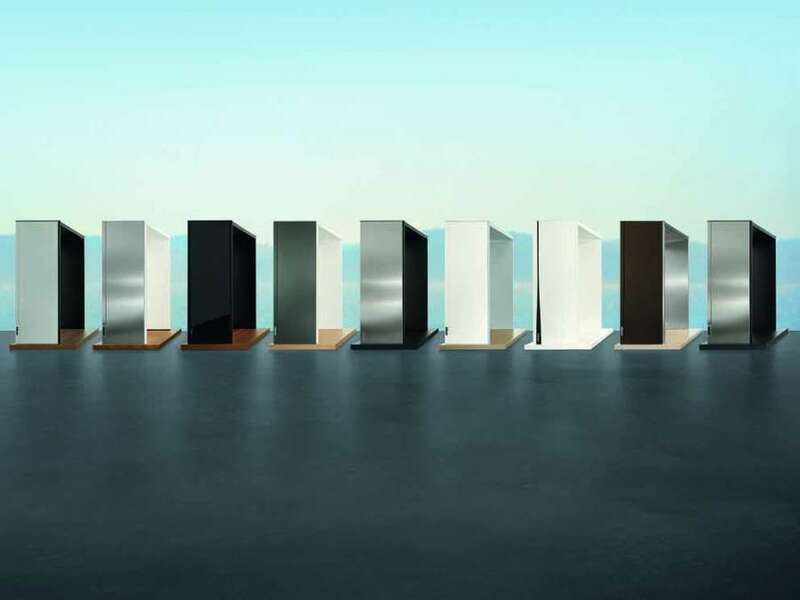 The novelty from the aesthetic point of view regards the T-shaped design of the side: straight and elegant, it is available for the intivo and antaro lines in the following colours: white silk, titanium grey, matt grey or stainless steel. 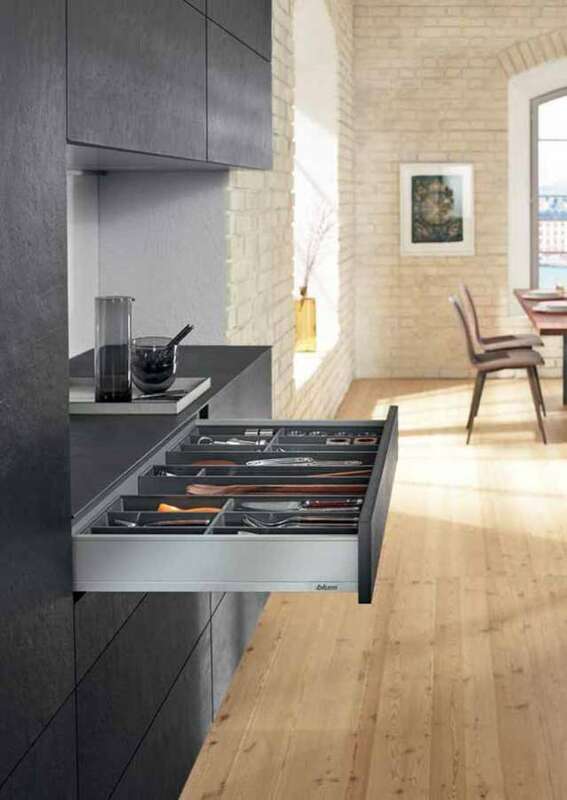 Elegance is also the hallmark of the Legrabox drawer system, thanks to its straight and thin side walls. 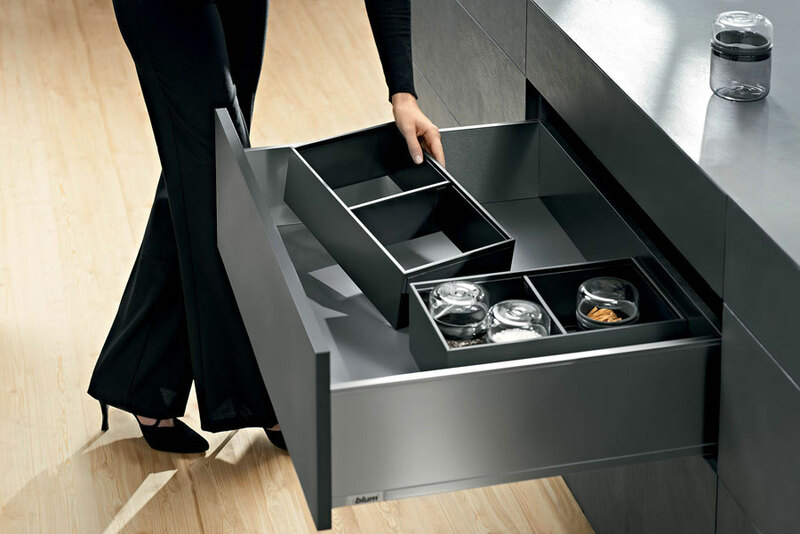 The novelty of Legrabox is the inclusion of the new variant of opaque polar silver colour. 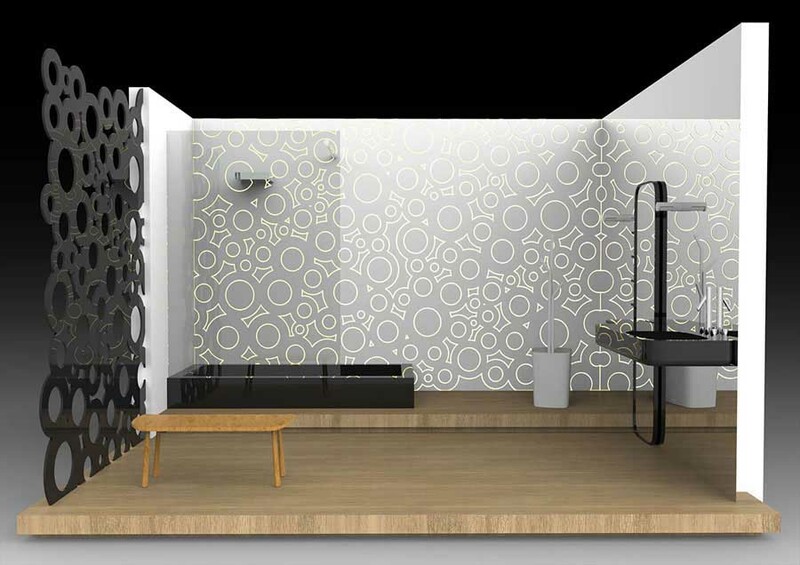 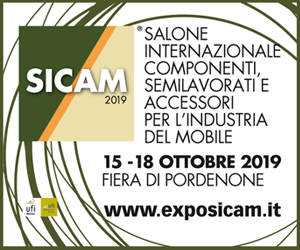 The possibility of designing the inner and outer sides in a different way, thanks to the bivalve frame, offers numerous design variations: different in colour and choice of materials. 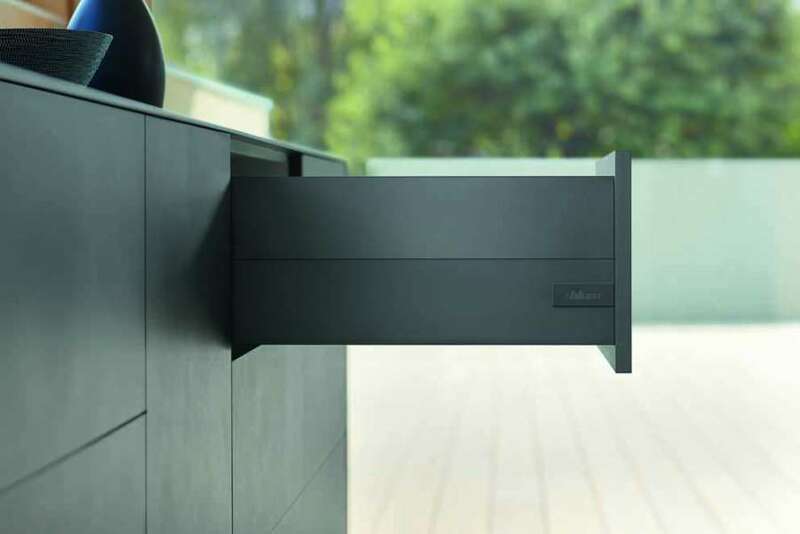 Logos or writings can also be added for to the Legrabox sides greater customization based on the customer's wishes and it is also possible to print the external frame. 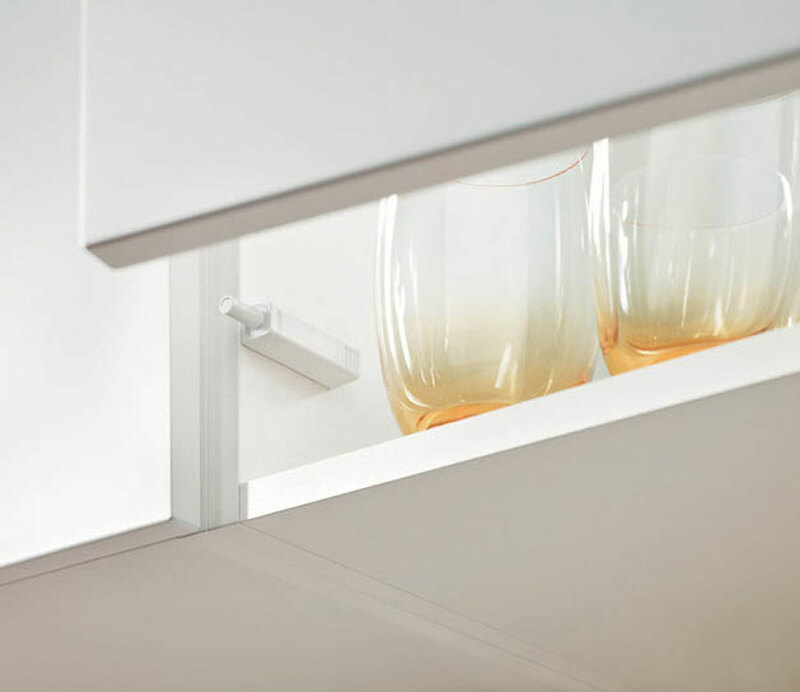 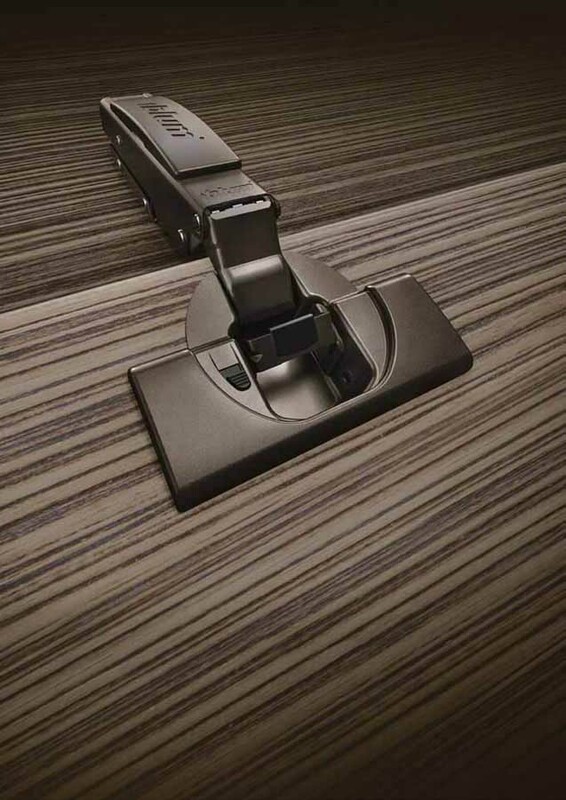 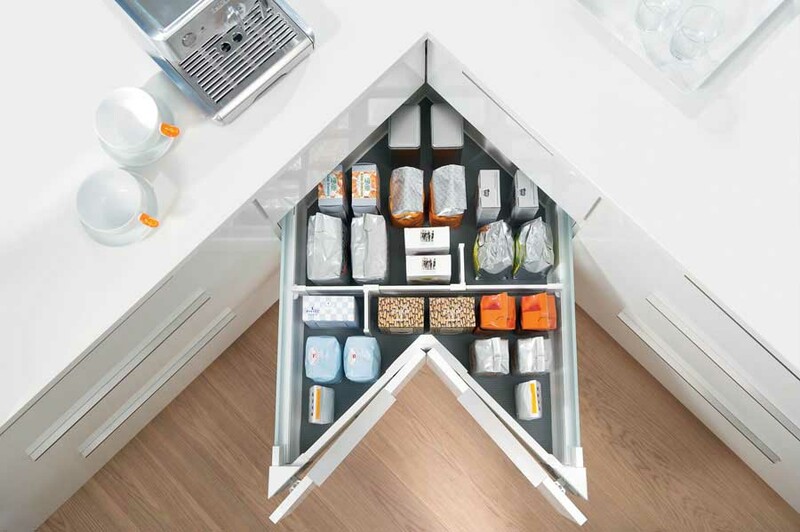 Thanks to Tandembox and Legrabox drawer systems, Blum offers a wide variety of designs, well suited to all environments.